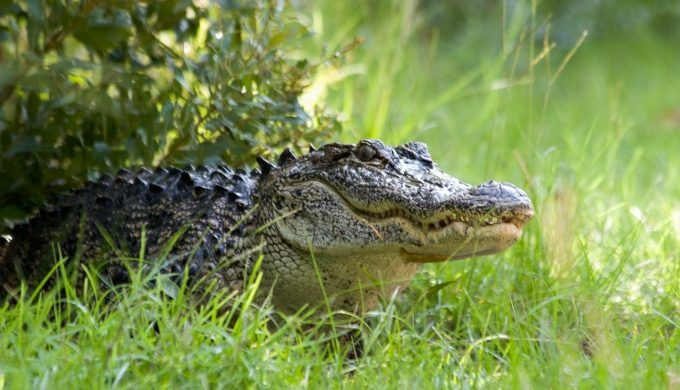 Alligators and humans have been sharing the same bodies of water, swamps, and marshes in Texas for many centuries. In fact, historians believe that the Karankawa Indians of the Gulf Coast smeared their bodies with alligator fat in an attempt to ward off those most tenacious of little Texans: The mosquito. 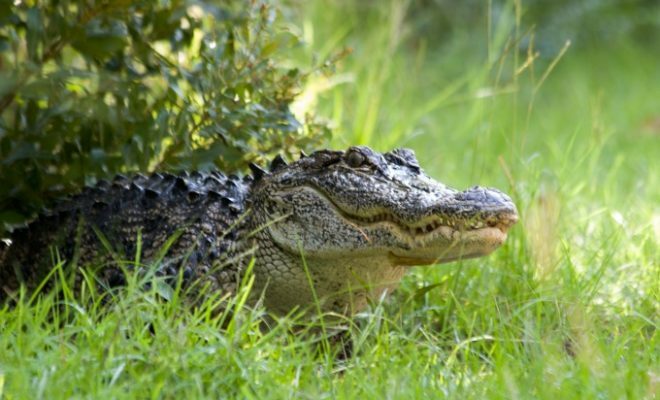 Many people are unnecessarily fearful of alligators and Texas Parks and Wildlife fields calls from concerned citizens all year about alligator sightings. Greg Creacy, a wildlife biologist based in Bastrop, explains that the number of attacks by alligators in the U.S. each year is less than injuries and fatalities from dogs, scorpions, snakes, and sharks. All of those are much more dangerous to people than alligators. Hunting and habitat loss threatened the species with extinction by the 1950s, according to the U.S. Fish and Wildlife Service. The population has since rebounded, and American alligators were removed from the endangered species list in 1987. 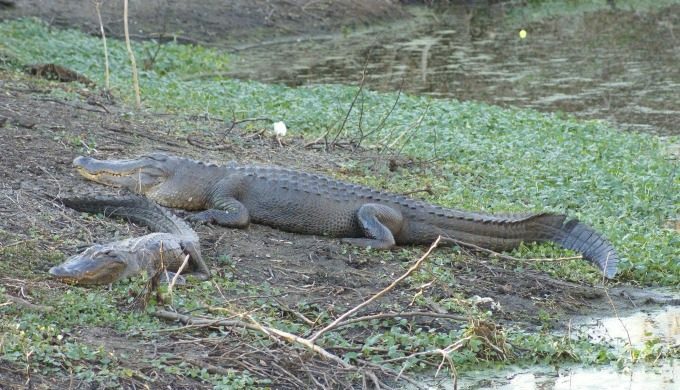 Now, more and more people are reportedly seeing alligators on their properties. Many of these people live in high-volume, active, and populated residential areas. 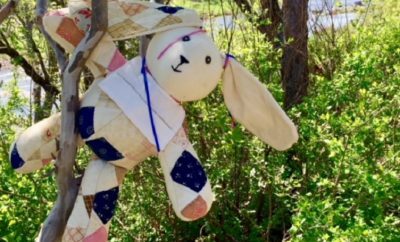 Just like most other native animals in Texas, as progress and construction take over our natural spaces, the animals who make those areas their home migrate. Oftentimes, this migration is into populated areas. If the alligator is not approaching people or otherwise posing an obvious threat, wait a few days if possible, even up to a week, before contacting the Texas Parks and Wildlife Department. If you hear the alligator hiss, that means you’re too close. Back away slowly. ← Previous Story What Does the ‘Dead Zone’ in the Gulf of Mexico Mean for Texas?